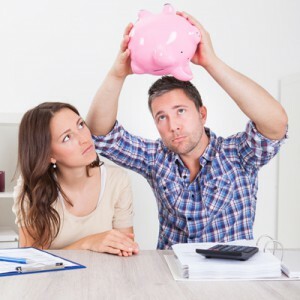 Home » Financial News » Money troubles in your relationship? Money troubles in your relationship? It’s a well-known fact that one of the most common reasons for divorce is disagreements over money. That’s your relationship’s worst case scenario. Even if your relationship is strong enough to survive money troubles, fighting about money is still going to present challenges in reaching your financial goals. “Attaining financial goals can be challenging enough as it is, without throwing in the extra stress of fighting over money with your spouse. It is common for spouses to try to maintain some kind of financial autonomy, but having secret credit cards, accounts and spending isn’t about independence. To avoid conflict here, establish a part of your budget, where each spouse gets a certain amount of “free” spending money,” says Jeff Schwartz executive director, Consolidated Credit Counseling Services of Canada. “Many people adopt attitudes towards money from their parents or from other life experiences prior to entering into marriage. When you merge households and finances, you’ve got to recognize the necessity of trying to align these different perspectives,” says Schwartz. Here are some tips on how to establish that middle ground. If you haven’t yet walked down the aisle, start your marriage off on the right foot by avoiding accumulating debt in paying for your wedding. According to Wedding Bells Magazine, the average cost of a wedding in Canada is a staggering $30,717. 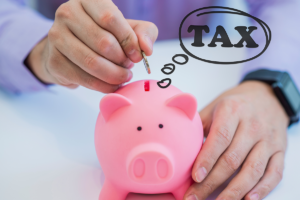 Think of all the other things that you could do with that money, including a down payment on a home or paying down existing debt that you might be carrying into the marriage. Cut costs wherever you can and give yourself a wedding gift: start off with lower (or no) debt. Discuss what your financial goals are as a couple and then determine how you are going to budget for them. It’s all about getting on the same page. To help stay on track, try posting reminders around your home about your goals. For shorter term goals, try posting a calendar crossing off the days as you approach your goal. For savings, post a savings chart on the wall, showing the progress of your goal. Post-its are great too, with motivational words, placed in key, high-traffic areas. Even consider posting pictures around (e.g. if home ownership is a goal, post a picture of your dream home, etc.). Although money is a very emotional subject, particularly if you have differing points of view, it is counterproductive to engage emotionally if you are committed to reaching financial goals as a couple. Avoid assigning blame or judgement and practice active listening. If talking about money means having a fight, then you may be inclined to avoid talking about money altogether, which is damaging to your finances and your relationship. Are you a spender and your spouse is a saver or vice versa? Try to approach money from their point of view, even if it makes you uncomfortable. Understanding where each other is coming from is an excellent tool to find compromise and the middle ground. If possible, try to fit somewhere in your budget the opportunity to reward yourself for staying on track to meet your goals. Think special date night, weekend getaway or even a nice night in. Financial goals can take a long time to achieve, and it’s a great idea to celebrate your milestones along the way. Do you and your spouse have differing points of view when it comes to money? Has it resulted in digging yourself in debt? One point of money management that you can surely agree on is getting rid of your debt together and we can help. Call us today at 1-888-294-3130 or visit our free online debt analysis.